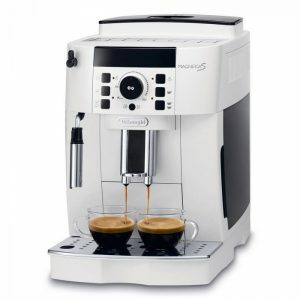 Delonghi is one of the best-known names in the bean to cup coffee machine market, with their products frequently making the ‘most recommended’ lists year after year. The Magnifica ESAM4200 is no exception to that. 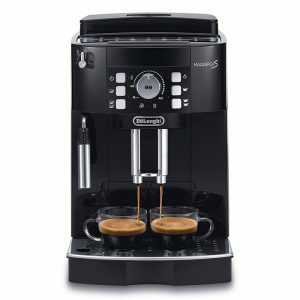 Although considered to be at the budget end of the bean to cup coffee machine options – albeit at the top end – it offers a wide range of versatility at an affordable price. It’s no surprise that it’s one of the top-selling coffee machines in the UK, and it boasts an impressive 4.5 out of 5-star rating on Amazon and other retail sites. 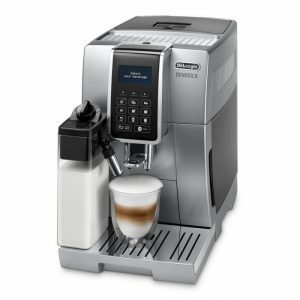 So what is it that makes the Delonghi Magnifica ESAM4200 such a popular choice with coffee aficionados? 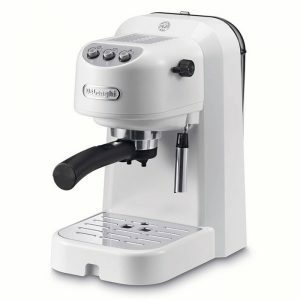 How Easy is it to use the Delonghi Magnifica ESAM4200? The main reason for investing in a bean to cup coffee machine is that you want to enjoy freshly ground, high-quality coffee at home without all the hassle traditionally associated with the process. 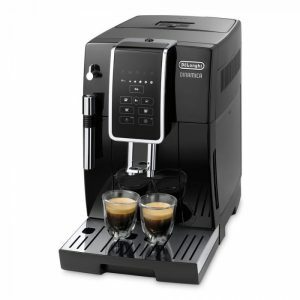 And that’s exactly what the Delonghi Magnifica ESAM4200 offers. 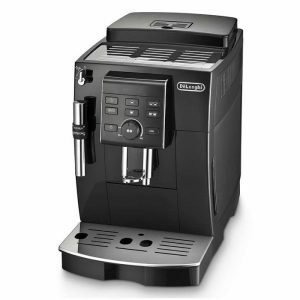 This bean to cup machine boasts an extensive pre-programmed one-button press menu and large water tank capacity, holding 1.8 litres for minimal refilling. It can also produce two cups of coffee at the same time, perfect for homes with multiple coffee fanatics. Cleaning bean to cup coffee machines can be a complicated and fiddly process. Not with the Delonghi Magnifica ESAM4200. It has an easily removable brewing unit and drip tray, plus rinse and decalcification auto-programmes that can also be adjusted for the local water hardness for the most efficient clean. It even lets you know when de-scaling is required. Really, when considering ease of use, the only criticism that can be made is that the milk frother is manual rather than automatic, and mastering the perfect froth can take time and patience. 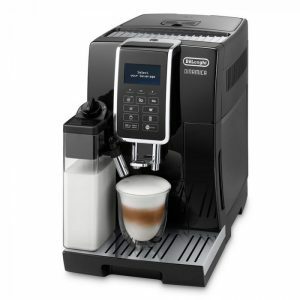 But, even allowing for this, for those looking for a minimal effort, minimal maintenance, high-quality machine the Delonghi Magnifica ESAM4200 is a hard act to follow. For a budget machine, the Delonghi Magnifica ESAM4200 offers a functionality that’s more akin to the higher-end bean to cup coffee machine market. As already mentioned, it has numerous pre-programmed settings, which includes an impressive thirteen different grind options. Not only can you change the grind to suit your personal taste, but you can also change the quantity of coffee and water to reflect your taste preference. And if you’re feeling more adventurous and want to wander off the beaten path a little, the comprehensive manual supplied with the machine clearly explains how to meet your caffeine-based desires. Another added benefit, not available in all machines, is that if you fancy using pre-ground coffee, this machine lets you do that too. While the milk frother is manual, the Delonghi Magnifica ESAM4200 milk frothing arm does produce a thick, creamy froth that’s ideal for such milky coffee types as cappuccino, latte, macchiato and lungo. It’s temperature control means that the milk is heated to the perfect temperature necessary for achieving the optimum mix of milk, air and steam. We all know that different coffee types are best suited to different cup sizes. Another advantage of the Delonghi Magnifica ESAM4200 is that the height of the dispenser can be altered to accommodate everything from espresso cups to mugs and latte glasses, preventing splashes and spillages. It also offers the option of warming the cup before the coffee is served, to ensure maximum enjoyment of your coffee. 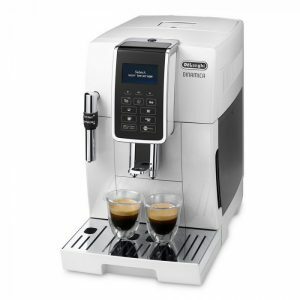 As you may have guessed, the Delonghi Magnifica ESAM4200 is packed full of features that make it an ideal choice for home coffee brewing. We’ve already mentioned the impressive array of grind settings it offers in the functionality section above. The integrated grinder is of the same high standard as the rest of this machine and features a burr mechanism for a consistent grind. Grinding coffee is never a quiet process, but the grinder on the Delonghi Magnifica ESAM4200 is surprisingly – and pleasantly low volume in comparison to most. 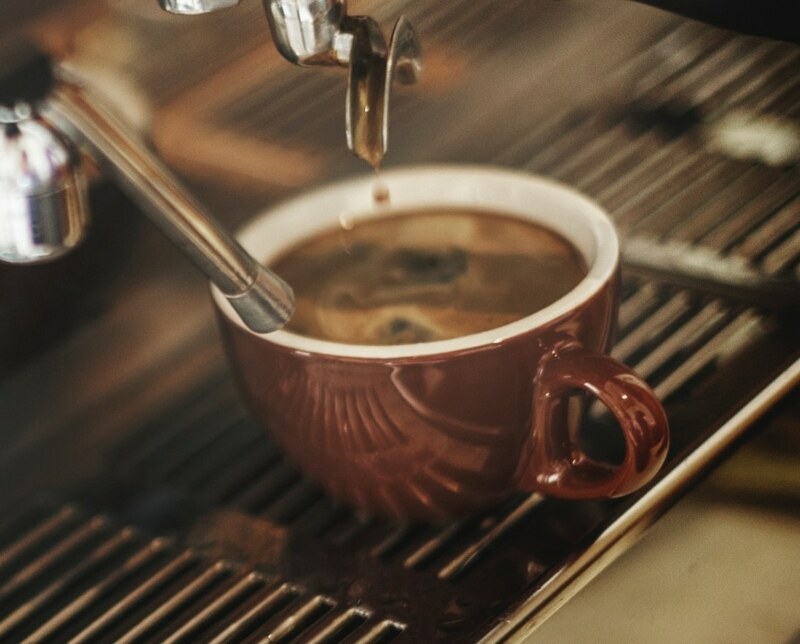 Any good barista will tell you how important water pressure and temperature are to making the perfect cup of coffee. Lower priced coffee machines of all types can lack the necessary water pressure, leading to a bitter coffee. 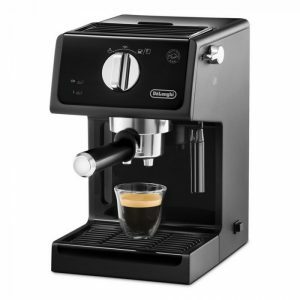 The Delonghi Magnifica ESAM4200, however, has a professional standard 15 bar pump that guarantees a coffee to rival that of any coffee shop. Temperature also affects the quality of the finished product. The Delonghi Magnifica ESAM4200 features an advanced patented thermoblock boiler system that ensures a consistent temperature cup after cup. However, Delonghi knows that we’re all different, and you can adjust the water temperature if you prefer your drink a little hotter or colder than standard. The machine also has an instant reheat function that keeps the water at the optimum brewing temperature, even if you’ve managed to resist a second cup for quite some time. For those concerned about the environment or just don’t want to waste money, the Delonghi Magnifica ESAM4200 has automatic energy saving, standby, and shut-off functions. It comes with a two-year warranty as standard but reliability seems to be good. 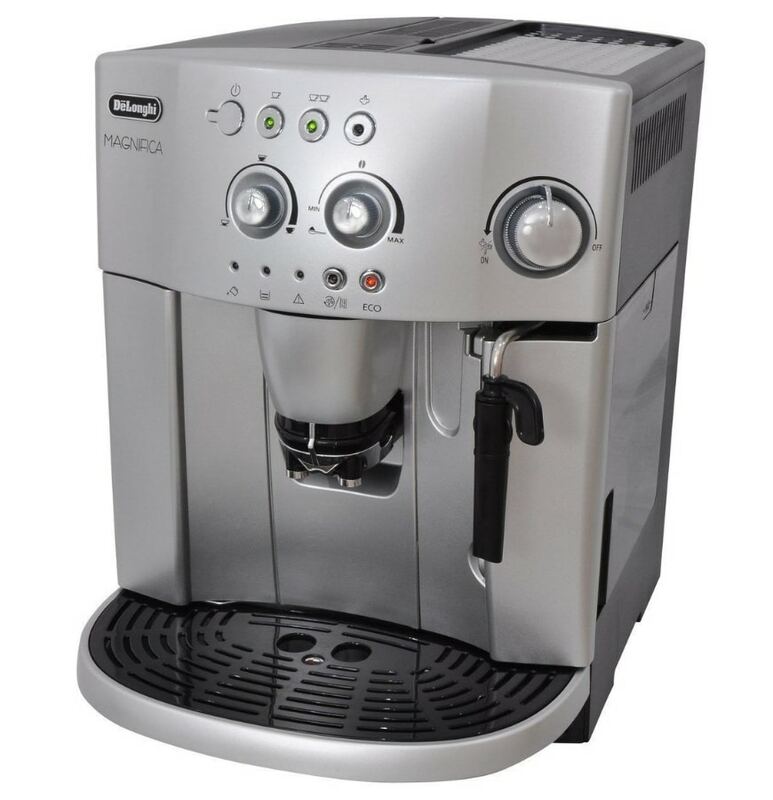 If you’re looking for a good quality but affordable bean to cup coffee machine, then you could certainly do much worse than the Delonghi Magnifica ESAM4200. Yes, it’s not perfect, but it’s pretty close, as we’re sure you’ll agree.